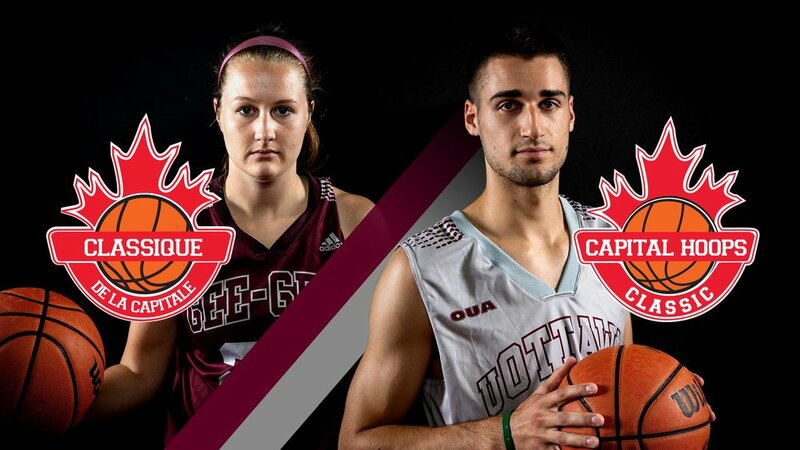 The Gee-Gees basketball teams are ready to compete for the 2019 Capital Hoops title. Let’s take over the stands with a huge sea of garnet and grey to cheer on our team. Since its inception in 2007, the Capital Hoops Classic has been the premiere regular season university basketball event in Canada. Over 100,000 fans have experienced the incredible rivalry and epic games between the Gee-Gees and Ravens. In 2015, a record 10,780 fans attended at Canadian Tire Centre. Last year saw the Ravens emerge victorious in both games in front of 8,579 spectators.